At age 16, Lainey Wright had a definite plan on how to spend her summer vacation. She took 10 original songs to a small recording studio in Mason, Texas and with the help of friends and family, including some professional musicians, she had her first CD in hand six months later. It was called “Count It Joy”. It was fresh, organic and honest and she shared it in coffee houses, churches and other venues all across Texas. Now, just shy of turning 20, Lainey is still making music. After moving to Austin last fall, she spent the year playing and writing new music for her next project, under the management of Greg Carnes. 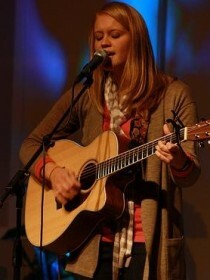 She opened shows for Leeland, Brandon Heath, and Francesa Battiselli, Newworldson and J.J. Heller. She played a festival with headliners Jars of Clay and Stephen Curtis Chapman. She recently made her Nashville Debut at “The Dog and Pony Show” artist showcase, where she took to the stage with former Newsboy Paul Colman, who is producing her current project. 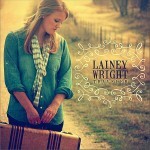 Look for the release of Lainey’s new record in Fall 2010. As always, her prayer is that you will hear Him in the music.